Baseball is a strange game. You can outhit your opponent, sometimes by a large margin, and still end up on the wrong end of an outcome the scoreboard seems to wrongly represent. That very thing happened to Century in a 3-2 loss to Glencoe in their league-opener Tuesday, April 2, despite outhitting the Tide 7-3. But two days later, the tide turned (no pun intended) and it was Glencoe on the wrong end of a game they felt was theirs for the taking. "Didn't have timely hitting and left too many runners on," Glencoe head coach Andy Ackerman said. "The three innings they scored, we put their lead runner on with walks and that's in the 80 percentile in teams scoring. So we just can't do that." The Jaguars (1-1, 7-2) managed just one hit in the game, but made the most of the aforementioned Glencoe walks, a series of wild pitches, and the lone Century hit by freshman Niko Rosell in the bottom of the fifth to get runs in the fourth, fifth and sixth innings en route to a 4-0 victory, April 4, at Ron Tonkin Field. 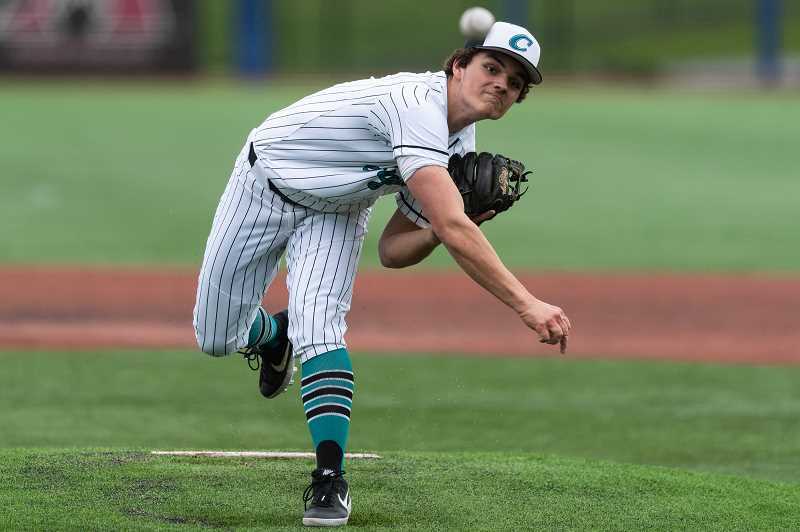 In addition to their fortuitous play at the plate, Century leaned heavily on the strong pitching performance of senior Jared Gordon who threw all seven innings, allowing just five hits while striking out three and walking one. "It was all about our starting pitcher, Jared Gordon," Century head coach Mason Wright said. "He was awesome for us and as our senior leader and captain he really stepped up." Ackerman acknowledged Gordon's performance, but at the same time recognized Jordan Williams, his starting pitcher's effort as well. "Both pitchers pitched well, we just lost it a little late." After three scoreless innings to start, Century drew first blood in the fourth when Blake Baccay was hit by a pitch, moved to second on a wild pitch, then to third on a passed ball before scoring on an Alex Garcia sacrifice fly to center field. The Jags scored twice more an inning later, again started with a hit-by-pitch, when Rosell's single scored Gene Quitugua, then Rosell later scored after advancing to second on a Micky Thompson walk, third on a Baccay sacrifice bunt, then a wild pitch to Justyn Herzog. 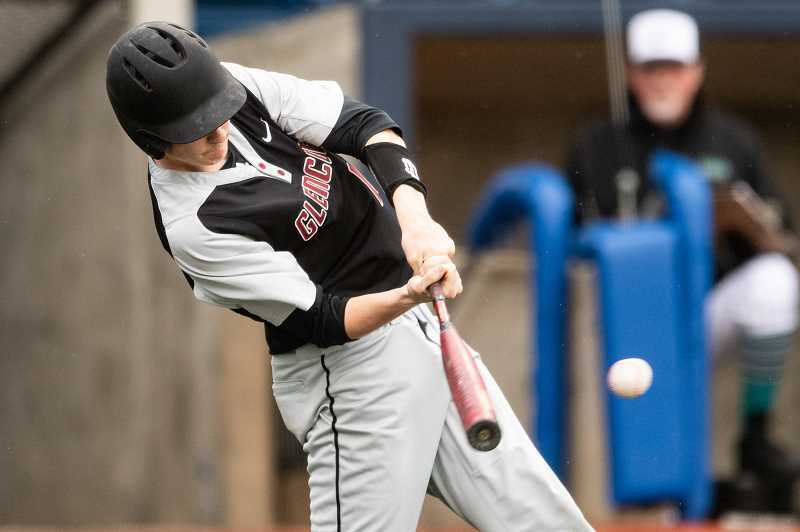 Glencoe (1-1, 3-5) threatened in the fifth inning when they put runners on first and third with one out, but consecutive pop-outs ended that rally. Then again in the sixth when following an initial out, Joseph Collins and William Stephens singled to put runners on first and second, then after Bryce Fornshell popped out, a Mason Mallory base-on-balls loaded the bases before a Dylan Richards pop-out ended the inning. In all, the Tide left five runners on base over the two innings. Despite the loss, Ackerman said his kids are making strides after a relatively slow start to the season, much of which can be attributed to what's going on between their ears. "They're thinking the game better opposed to just getting cuts in, and the mental side of the game is starting to come around," he said. "My expectation is that there's more to the game than see ball hit ball, and that's what we're trying to get across to them." The Crimson Tide coach also noted that a number of their early season losses could be attributed to he and his staff toying with the lineup in an effort to get to know their personnel. Now that they have a better grasp on their strengths and weaknesses, everyone is more comfortable in what they're doing and the results are starting to show on the field. "I think we're fairly confident that we're a better baseball team than we've shown to this point in the preseason," Ackerman said. "There were some games we lost that we probably shouldn't have, but we've made some changes and the kids are starting to click, and it's big knowing what our potential is." And how did Century feel — despite being No. 4-ranked in the latest OSAA rankings — about getting their first Pacific Conference win? "The guys we're excited to get their first league win and are hungry for more," said Wright. The two teams are scheduled to play the last of their 3-game set at 6:30 p.m. tonight at Ron Tonkin Field.